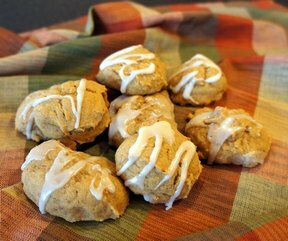 Spice and pumpkin make these soft cookies a huge hit. You can decorate them with candy corn or chocolate chips to make them look like Jack-O-Lanterns for Halloween. 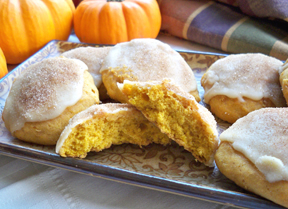 Combine flour, oats, baking soda, salt, and cinnamon; set aside. Cream butter and sugars beating until light and fluffy. Add egg and vanilla, then stir in pumpkin. Last, stir in butterscotch chips. 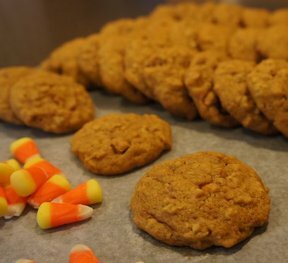 For each cookie drop by spoonfuls onto a cookie sheet. Bake about 10-12 minutes at 350 degrees F, until cookies lightly browned. Remove and cool on racks. "SO delicious! Loved the butterscotch chips in them. So soft and so delicious. 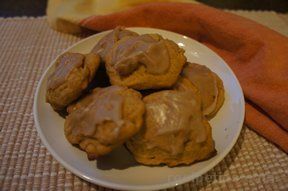 Perfect pumpkin cookies, I didn't want to share."